We are living in an age full of visual smog. It is reaching to us from all directions and in various forms. One of these channels are unwanted advertising leaflets which we all have in mailboxes. Their unattractive colorful look disgust us and successfully prevents from looking at them. But still we are getting this material all over again without asking for it. 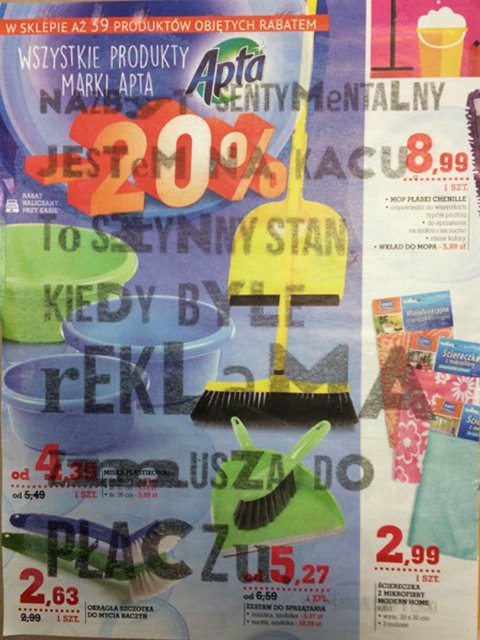 A Czech graphic designer and university teacher Pavel Noga has decided to reflect this situation. He found out that his mailbox contains about 2 to 3 kilograms of spam every week. Therefore he decided to use it as a material for his own project. 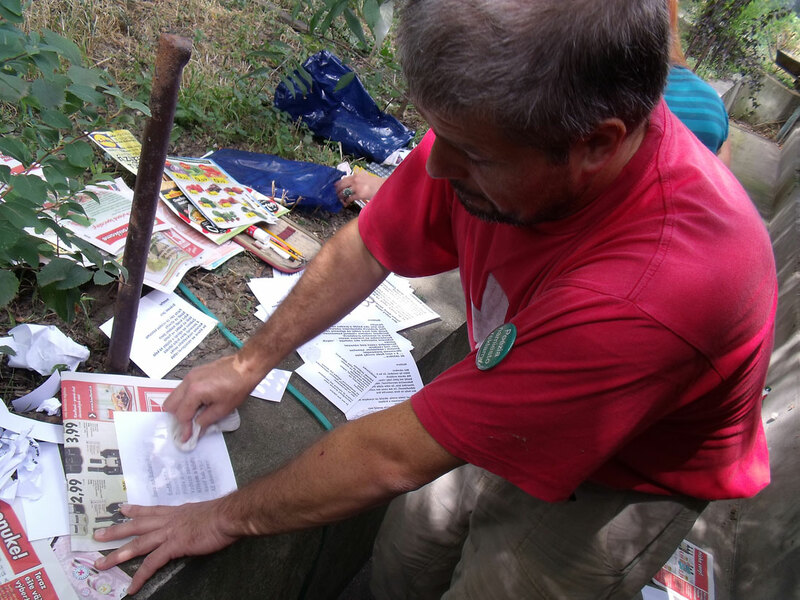 He has used the original leaflets as a background for poetry texts of young Czech poets. 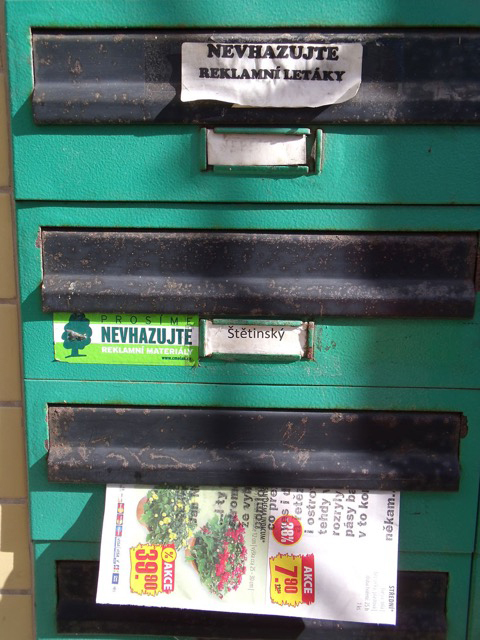 After printing the poems on the leaflets, he returned them back to the mailboxes. 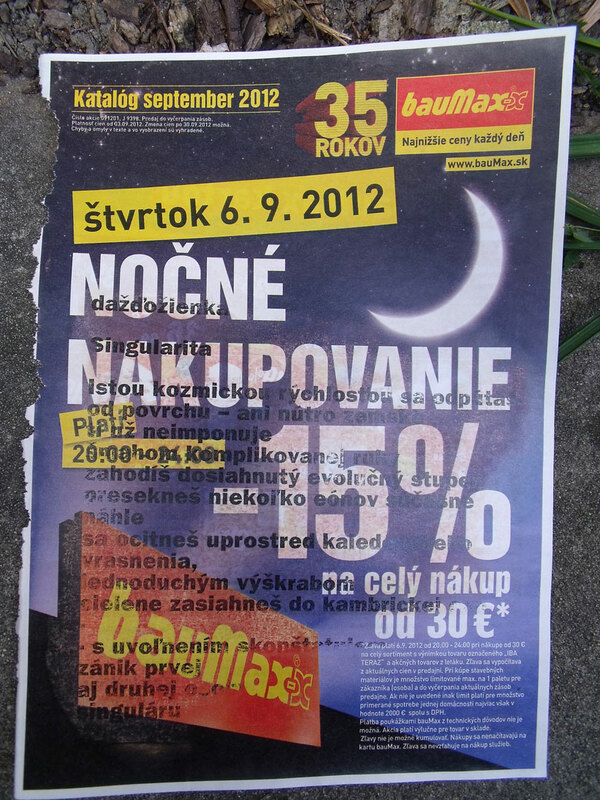 In the year 2012 this project called “Poetry instead of advertisement” ("Poezie místo reklamy") went on in Ostrava with help of the students from University of Ostrava, and in the same year with several students of Academy of Fine Arts and Design in Bratislava during the festival SELF. 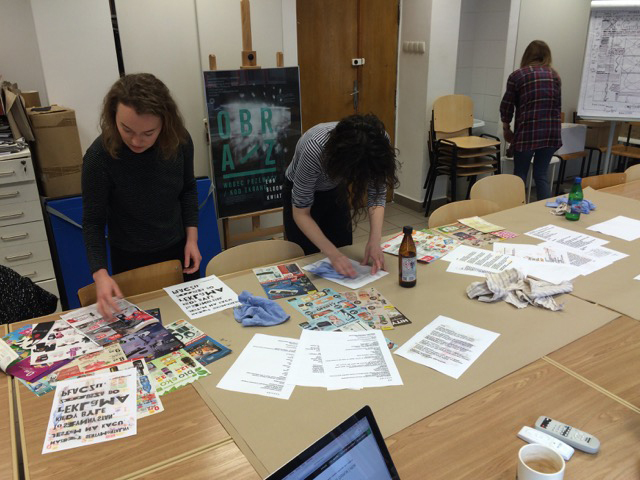 In 2016 this project traveled to Poland and Noga was tutoring workshops with polish students as a guest professor at the Academy of Fine Arts in Łódź. 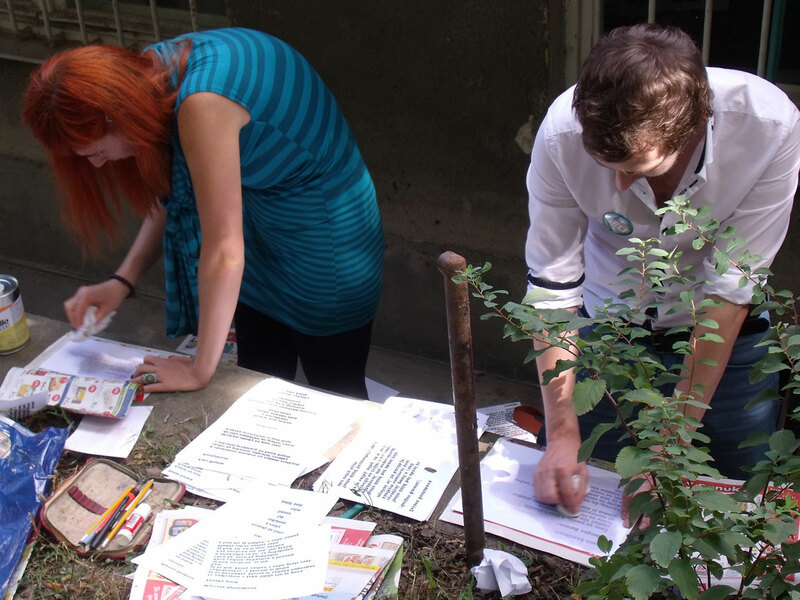 On all these places, the leaflets were designed and delivered to specific streets in the centers of the cities. 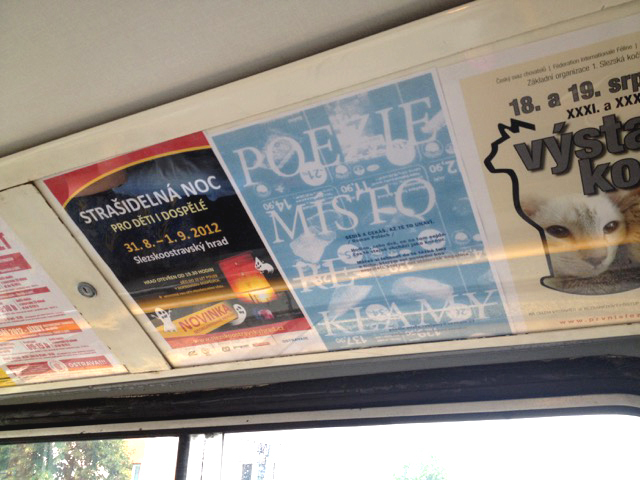 Besides that, Pavol Noga even rented few ad spaces in Ostrava’s public transportation to present the poetry of the young poets also in public. In my opinion the project brought up several important messages. 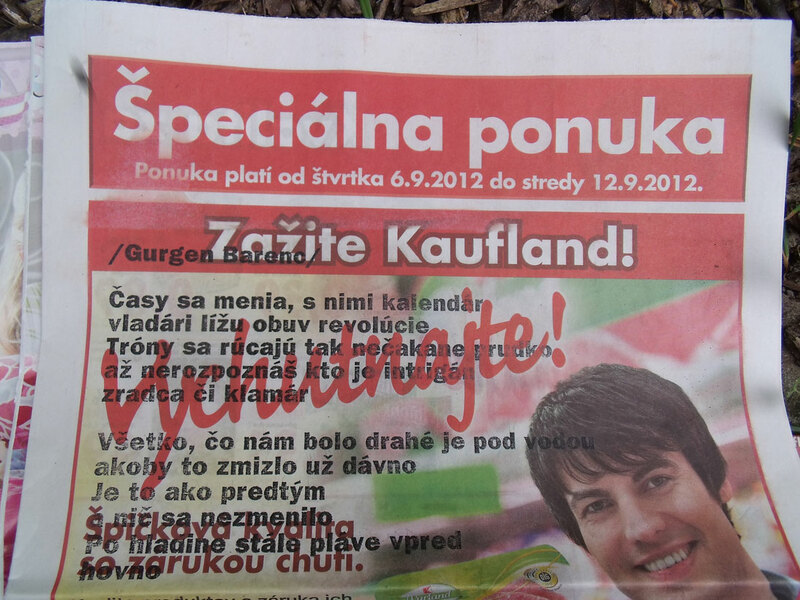 If we would have to measure success of the project based on the reactions of people who got the leaflet, we would hardly arrive at any conclusion. 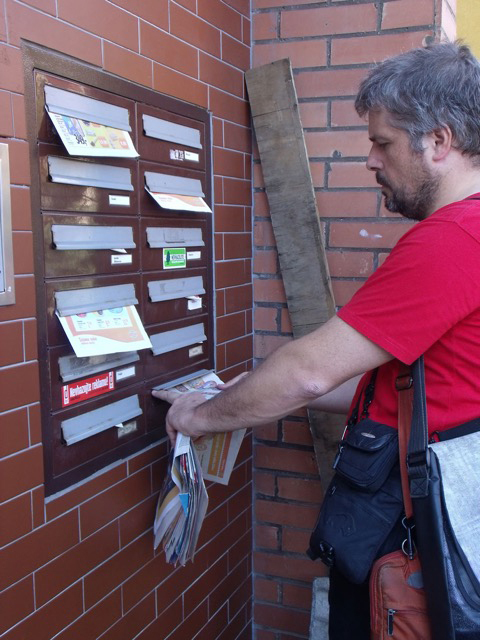 As Noga mentioned, the responses were quite random, mainly from the people he knew and accidentally inserted the leaflet into their mailbox without knowing that they live there. This side of the project has not been inspected in details but I don’t think it was the initial intention (however it would be worth it). I assume that the main goal was the act itself and Pavol wanted to point out a common gaudiness and thoughtlessness which adds present. And last but certainly not least to provide a very unusual platform for young and medially unknown poets giving them a chance to publish their work in such creative way. After all the success of this project lies in the publicity – it has been documented in the form of TV reports for the Czech television. And of course, one of the main evidences of success, according to the words of the author himself, was the joy that all participants have worked with. license: Licenced by author of the image, please contact author personally.